TAPAS introduction to Dr. Jose Herrera ! Dr. Jose Herrera, the Minister for Sustainable Development, Environment and Climate Change of Malta has visited the AquaBioTech Group to discuss co-operation possibilities in aquaculture and fisheries research and development. Dr. Jose Herrera has been fascinated in our participation in marine research and aquaculture installations as well as in EU project cooperation. 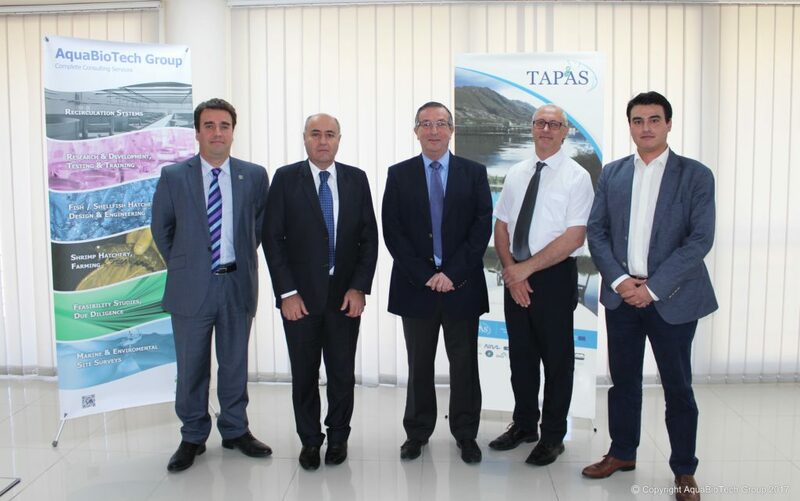 The TAPAS project was introduced to the Minister as it is well aligned with the governmental goals in progressing sustainable aquaculture, and referring to that, Dr. Jose Herrera proposed more collaboration between the government and industry in marine research and future projects in aquaculture.